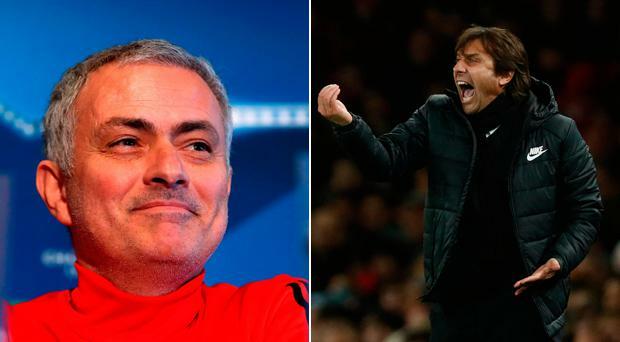 Mourinho’s comments were widely thought to be aimed at both Chelsea head coach Conte and Liverpool manager Jurgen Klopp. Faced with that quote, Conte hit back by saying: “I think that he has to see himself in the past, maybe he was speaking about himself in the past, yeah? ‘Demenza senile’ literally translates as senile dementia, but Chelsea later insisted Conte had been looking to use the Italian word for amnesia. Mourinho was the not the only manager Conte took aim at, as he also attacked Arsene Wenger for claiming that Eden Hazard should have been booked for diving rather than awarded a penalty during Chelsea’s draw with Arsenal in midweek. Asked whether he is becoming annoyed by rival managers talking about him and his players, Conte added: “I think that it is very strange because I don’t like to speak about the other coach, the other players. “I think that is a form of respect you must have and I repeat that sometimes for example, Wenger forgets that in the last few games we finish the game with 10 men when they won FA Cup and Community Shield, and I think the referee decisions were a bit strange, you understand? “And when we were 2-1 up (on Wednesday night) and the Arsenal defender is sliding before to take the ball and for us it was a chance to score, but instead the referee stopped the game and Wilshere... I can talk, if I want I can talk about referee decisions for one month but I don't want to do this because we must have respect for the decisions. Chelsea expect to complete the £15million signing of Ross Barkley on Friday afternoon and Conte said: “For sure, we are talking about a young English player, he has a good prospect for Chelsea. “The club decided for this investment also for his contract. This is a good opportunity for the club to buy this player. “He is very young. He has a lot of space for improvement. Very strong physically, good technique and he is a good prospect but at the same time it will be very important to understand always to repeat if the player signs for the club to understand when he can recover from his injury.